Getting around by bike is a great way to save time and money, but transporting everything you need to take with you can be a struggle from time to time. 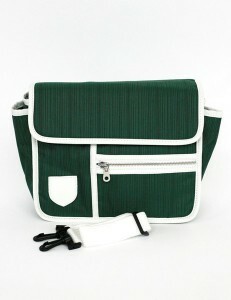 A saddle bag is a small carrier that sits underneath your saddle, attached to the rails and seat post. They come in a variety of sizes – from the very smallest and most compact that will take just your tools, to some larger varieties which can carry 6-7 litres, which is as much as a small backpack. 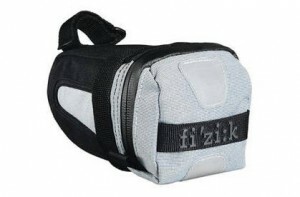 The Fizik Saddle Bag is perfect if you only want to take a few tools to get you out of a tight spot. The benefit here is that you will hardly notice what you’re carrying. Most of the contents you could carry here would probably fit into a jersey pocket, but using a saddlebag like this you won’t feel your spare tube or tyre levers jumping around and also means you’ve got spare pocket space for a few extra essentials. 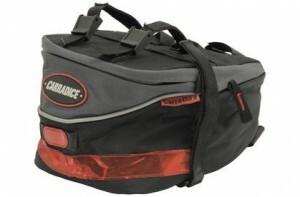 The Carradice CarraDura Saddlepack is one of the larger varieties and at under £20 it is hardwearing and has an extra drawstring holder for carrying drinks bottles. It comes with a waterproof cover, too, for rainy days. 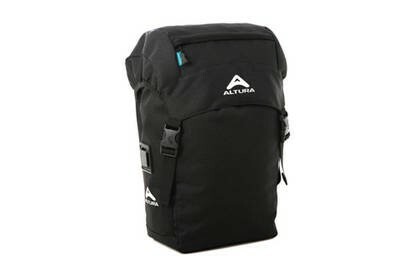 This is a great option if you want to transport quite a bit of kit, but don’t want to take a backpack or affect the bike handling with panniers, though if you load this up you might feel the effect of the weight on the back end. 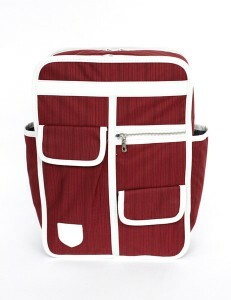 Backpacks are good to sling on and they’re a popular option. Cycling specific backpacks will have straps to go around your chest and waist, so that the pack stays in place as you don’t want movement as you ride. 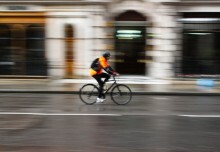 The downside to a backpack is that some people find they can cause them to get quite hot and unnecessarily sweaty – so if you plan on riding in your civies (eg to work in your work clothes), then a pannier might be more your style. 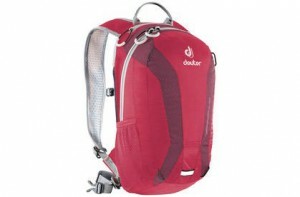 This is a lightweight carrier for people who want to almost forget they’re carrying their sandwiches. It can carry up to 10lites and the chest straps, waist strap and shoulder straps are all highly adjustable to help the rider find the perfect fit. The backpack has a zipped pocket on the top for putting items you want to be able to get to quickly, and another pocket inside as well as some elasticised mesh holders on the outside. Panniers are helpful if you want to ride free from carrying your kit on your back, and they often have a greater capacity so if you need to take a suit and laptop or other heavier items, these are the way to go. 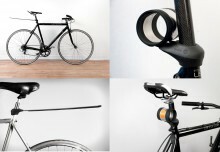 You will need a bike with mounts for a pannier rack, and to fit one of these – but us can be quite simple provided you get one that is compatible with your bike. 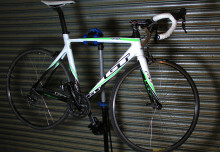 The Topeak Super Tourist DX Bike Rack is one example of a versatile good quality version that works with most fittings. Panniers themselves come in all shapes and sizes. You can choose between buying one single, or using two. It’s best to use a single only if you aren’t carrying a lot, because having just one will upset the weight distribution on your bike. 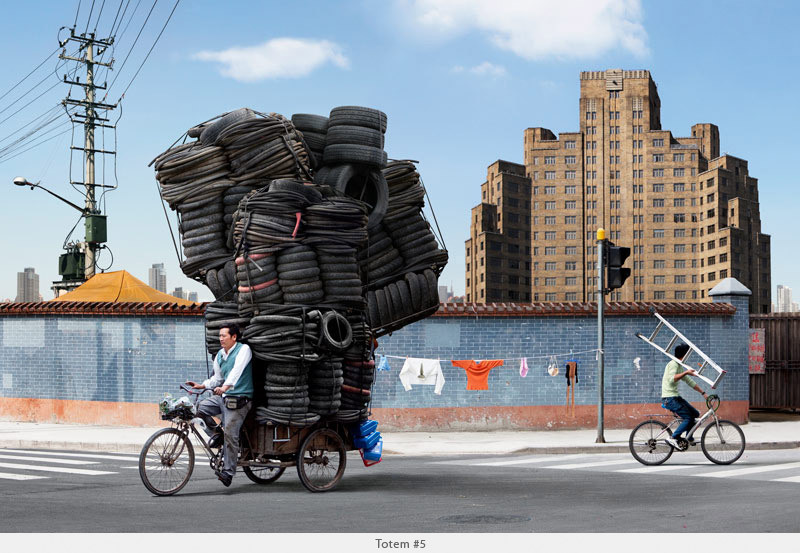 If you’re taking quite a bit, it’s best to have two and distribute the weight evenly. I’ve managed to take around 10kg of luggage on my bike for a touring holiday, and once you’re used to it they’re a fantastic method. It’s worth remembering on your first few rides that the bike will corner differently, and that climbing out of the saddle will feel strange, so practice first. These panniers are hardwearing and strong, and they’ve got pockets galore so you can keep the items you need in easy reaching distance. I used these whilst touring, so in my case, it was handy to have designated passport and phone pockets as well as one for tools. 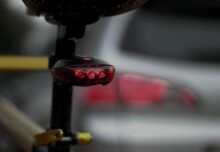 These simply clip on using plastic hooks, and a small anchor on the top keeps them in place (make sure to fasten this or the pannier will move about). If you’d like something a bit more chic, Goodordering is the brand for you. Set up by a new mother from her flat in Hackney, the brand sells attractive panniers (as well as handlebar bags) that can also become backpacks and handbags when off the bike. There are many options out there to overcome any specific struggles you have – so test some of these out, and happy riding.